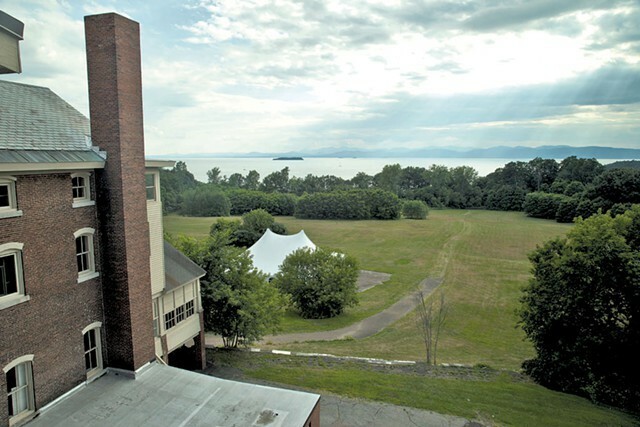 Up until today, Mayor Miro Weinberger has said little about Burlington College's plan to sell a large tract of open lakefront land to local developer Eric Farrell. On Tuesday he announced that he'll use a plan — created in 2001 at then-mayor Peter Clavelle's request — to guide his administration's involvement in the project. That document calls for housing "of all types" on the property but also recommends that a "generous portion of the land should remain open space." Farrell plans to build several hundred units of housing, including apartment buildings, senior housing and single family homes on the site. The financially beleaguered Burlington College has given conservation groups 60 days to beat Farrell's offer — $7 million for 25 acres — but so far there have been no takers. Several organizations said that the city would need to signal support before they would attempt to pull off such a large purchase, and Weinberger's statement does not suggest that his administration is supporting any such effort. Clavelle's report also recommends that the bluffs above the bike path remain untouched and that the beach below the bike path remain open to the public. The report concluded, "The primary importance of the property is that it is a continuous and large piece of undeveloped land in a highly urbanized section of Burlington, with few other opportunities for open space access." The mayor also said he has met with Farrell and conservation groups during recent weeks and will continue to work with them, relying on the guidance laid out in Clavelle's plan.